During the curfew (11pm to 6am) aircraft that are permitted to operate must depart towards the south over the water from Runway 16 Right, the westernmost of the parallel runways. On 9 November 2017 Airservices is implementing a flight path change for these departures so that they will use the same flight path that is used during the non-curfew hours. This change will improve the noise impacts during the curfew by moving aircraft further east of Cronulla, Bundeena and nearby areas. Residents in the Cronulla and Bundeena areas may notice a change in aircraft tracking during the curfew and reduced noise levels. There will be no additional noise impacts or increased overflight of other areas. The images below show the old and new flight paths. 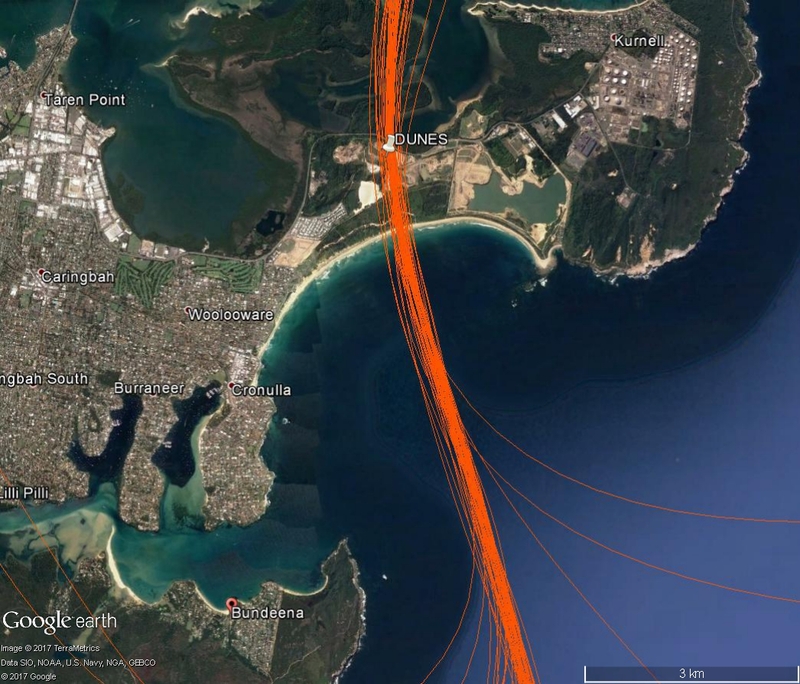 Figure 1 (above): Flight path for Sydney Runway 16 Right departures prior to 9 November 2017. 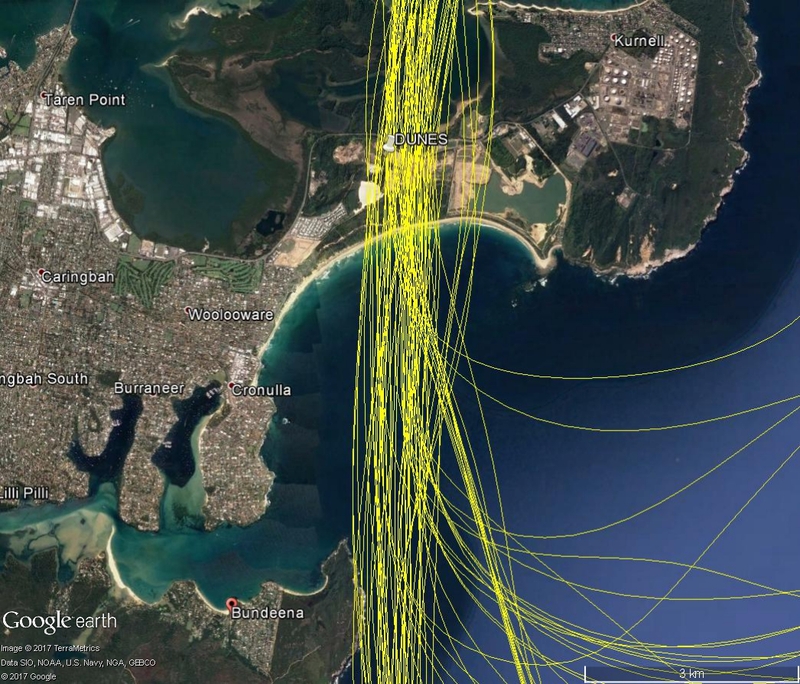 The image shows actual aircraft tracks and illustrates the close proximity to Cronulla and Bundeena. Click to enlarge the image and use your Back button to return to this page. Figure 2 (above): Actual tracks of aircraft using the daytime flight path. This flight path will be used by all departing aircraft during the curfew hours from 9 November 2017. Click to enlarge the image and use your Back button to return to this page.